The MIND-M 1000 induction hardening system is equipped with a process cell, cooling system and energy source, all integrated on a single machine base to minimize the footprint and save space. A tailstock module with centering pin guarantees the secure clamping of workpieces. 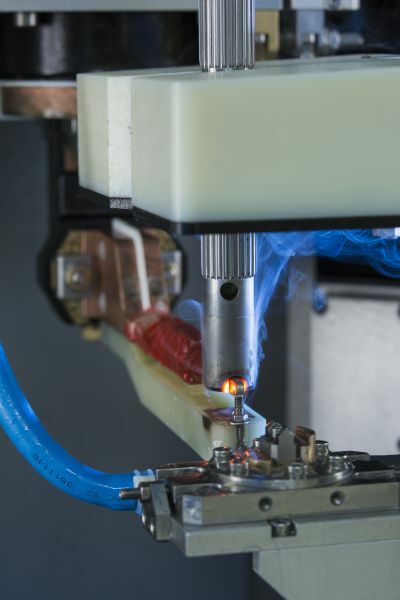 The MIND-M 1000 induction hardening system for induction hardening and heat treating offers a high degree of precision and reliability at comparatively low investment costs. Simple heat treatment tasks, such as induction hardening, with a maximum power requirement of 30 kW in high frequency (HF) or 100 kW in medium frequency (MF) applications can be processed with the MIND-M 1000. The MIND-M 1000 is designed for the induction hardening of workpieces of up to 1000 mm in length. Each induction hardening system is equipped with energy source, cooling system and process cell, which are integrated on a single machine base to minimize footprint and save space. 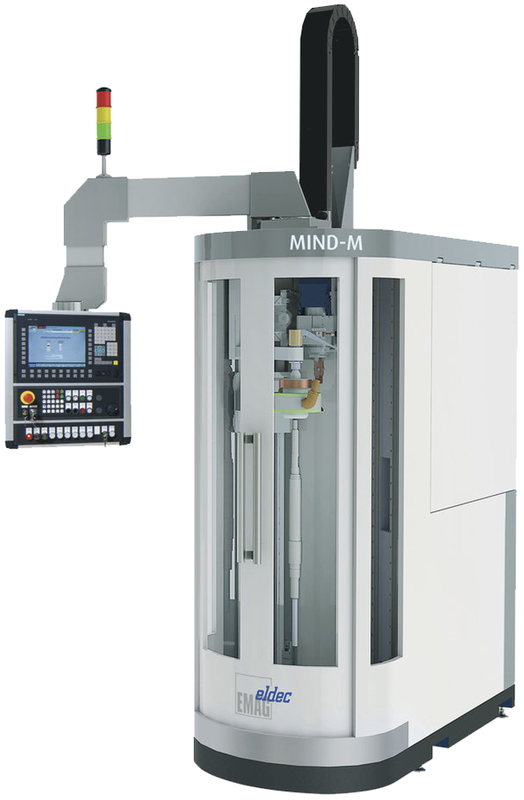 The MIND-M 1000 hardening system is fitted with X-, Y- and Z- axes for positioning the inductor, a main spindle drive for workpiece rotation, as well as temperature and flow control monitoring for the quench and cooling. 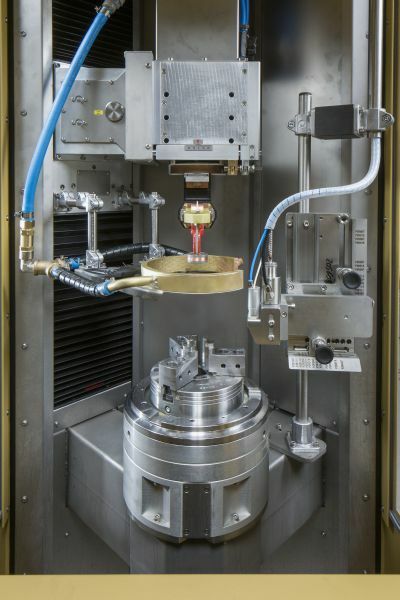 A tailstock module with centering pin enables secure clamping of workpieces. Loading of the unit can be performed either manually or automatically within the process chain with the aid of a loading module. 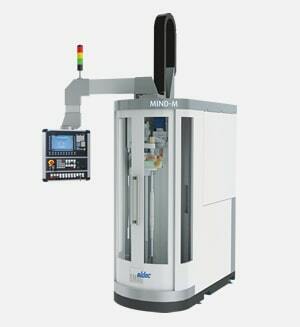 Optional selections for all levels of automation from manual loading to automatic mass production.